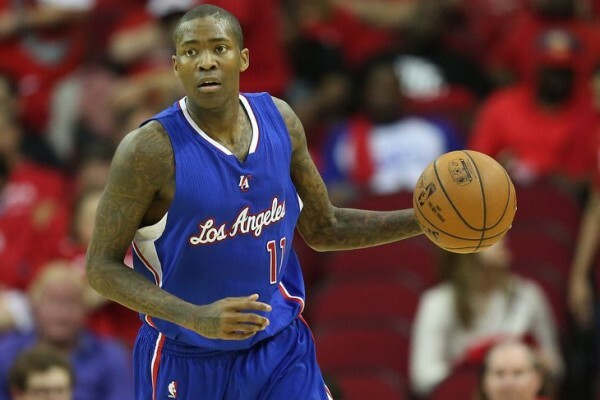 The Cleveland Cavaliers are hoping that the Los Angeles Clippers’ need of a big man might help them be swayed to give up Jamal Crawford, as the Cavaliers keep looking for another guard to help them put up points quickly on the board. The Miami Heat are in the hunt for a scoring guard as well. After signing Mo Williams, the Cavaliers do have the matter of re-signing J.R. Smith and Matthew Dellavedova, although it does seem like the Cavaliers are very busy looking at other options: Joe Johnson for one, although that’s a very difficult deal to pull off, which will include both Brendan Haywood and his unguaranteed contract and Anderson Varejao, although that might be tough considering how much LeBron James likes him on the team. The Clippers find themselves in something of a stunned situation. The center they were counting on has bolted, for various reasons. Now, they need to find someone who can make enough of an impact so the team doesn’t drop from contender status, although playing smaller isn’t such a bad idea considering the direction the NBA is heading towards. This might be a way for the Cavaliers to put pressure on Smith to lower his demands (multi-year, $8 million deal). It’s not going to stop Cleveland from paying an enormous amount of money when it comes to the luxury tax, but if they can at least curb that luxury tax a little bit it wont hurt. And maybe they do want an incredible amount of guards to be there for them when they need them the most? The Heat want to help Dwyane Wade and Goran Dragic by bringing in someone who can create his own shot and play both guard positions, although defensively he’s obviously something of a liability. Adding Crawford also makes it easier to move Mario Chalmers, unless he’s included in the deal to get Crawford. Crawford put up the usual numbers in terms of per minute and per possession since joining the Clippers. However, he did miss 18 games last season and his production significantly dropped in the postseason, being even less efficient than usual, shooting a career low 36% from the field. Part of Crawford’s charm is his gunslinger mentality, but the Cavaliers can’t afford to have him play exactly that way. J.R. Smith changed, at least for the regular season, once donning Cavaliers uniform. Can Crawford, if this trade happens, do the same? Moving Crawford isn’t so complicated, as he’s owed only $5.67 million next season, the final year of his deal. However, for the Clippers, who have enough problems, losing their best bench player as well might be too much for them to accept.